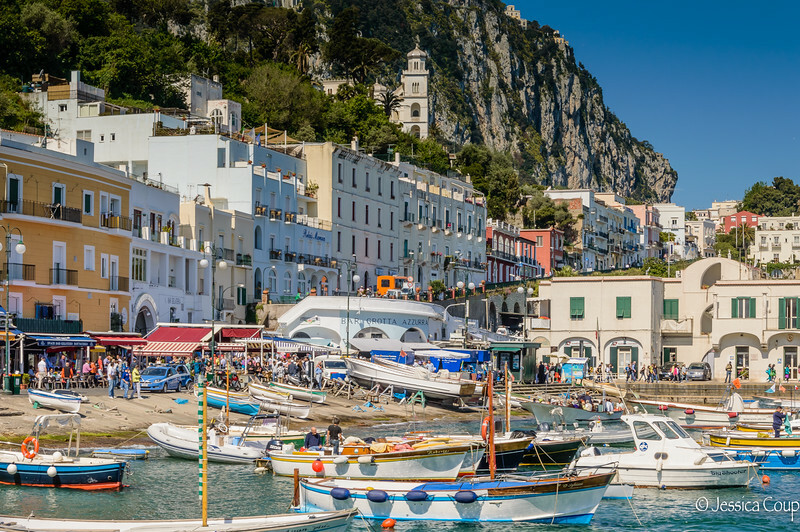 Capri is an island off the coast of Italy near Naples where you can spend the day feeling like a celebrity on a private boat circling the island and entering remote beaches, eating amazing food and shopping at upscale boutiques. Or you can get lost on the island like we did and end up hiking from the bottom of the island to the top…all 965 steps. Take the time to boat around the island on tour boat and wait in line for the Blue Lagoon. The whole experience is worth the wait and you will feel like Sophia Loren and Clark Gable in the movie It Started in Naples.